The FY 2017 operating budget passed last week by the Alaska House of Representatives cut $640,000 from grants that help Alaskans with disabilities live independently. The budget also cut $370,000 from emergency housing to help seniors, Alaskans with disabilities, and others facing homelessness. Both cuts were fought by the members of the Alaska Independent Democratic Coalition during budget deliberations. The House and Senate have passed two separate versions of the operating budget for FY 2017. The budgets will be sent to a Conference Committee that will work out the differences. The $640,000 cut to Developmental Disabilities Grants will reduce the ability for Alaskans to purchase things like lifts so they can live in their own home or get into a shower. The five percent cut will also negatively impact the ability of these Alaskans to live in quality community living arrangements or at home where a temporary caregiver is needed. 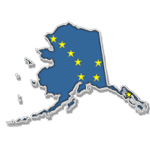 For more information, please contact Alaska Independent Democratic Coalition Press Secretary Mike Mason at (907) 444-0889.